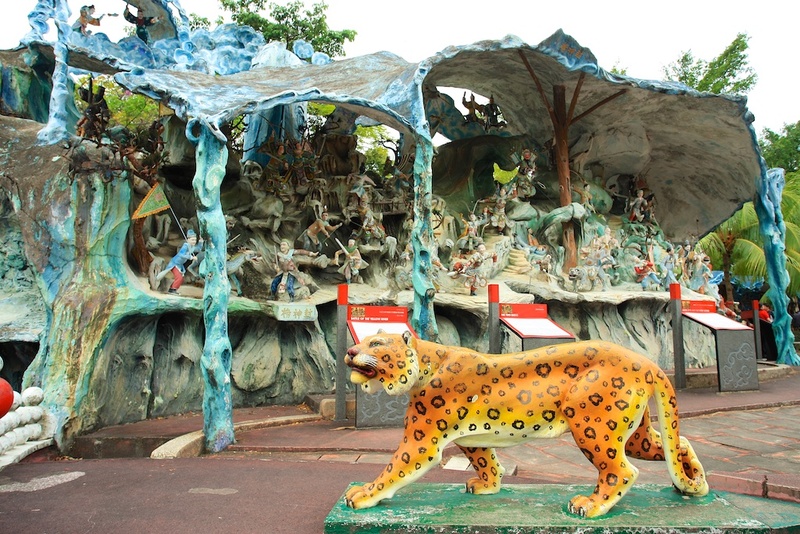 Haw Par Villa, affectionately known as Tiger Balm Garden to the older generation and to those who had the memory of remembering her maiden name, is located in the western part of Singapore. The charm, aura and significance of Haw Par Villa had kind of faded away in time during Singapore’s rise and expansion in the past few decades. Do you remember when was the last time you visited Haw Par Villa ? Or have you visited Haw Par Villa before ? I remembered visiting Haw Par Villa when I was a young boy during the early 1980s, it was pretty scary for a young boy when I visited Haw Par Villa because the statues and figurines were pretty frightening whom knew nothing at that time. For many years, I didn’t go back at all to Haw Par Villa and it went through a number of changes over the past two decades. Today, I will bring you through my eyes and stories, reliving the Memories of Haw Par Villa, adding on to my coverage and documentation of Old Places in Singapore. Haw Par Villa is a hidden gem in Singapore making a comeback in sharing her history, heritage and culture, that she thoroughly deserves for making and allowing the public to access the gardens owned by the Aw family in the 1930s. Haw Par Villa was built by Aw Boon Haw as a gift for his brother, Aw Boon Par, in 1937, to match his wealth and social status. The Aw family held strong Chinese values and wanted to share with the people, therefore, Boon Haw created a recreational space for the locals to come, enjoy and learn about strong Chinese values and beliefs. The gardens was opened to the public and they were able to be educated about strong traditional Chinese values and beliefs. There were many sculptures and dioramas teaching Chinese mythology, classic stories, traditional Chinese values, religion, philosophy, filial piety and beliefs, showcasing Confucianism, Buddhism and Taoism. 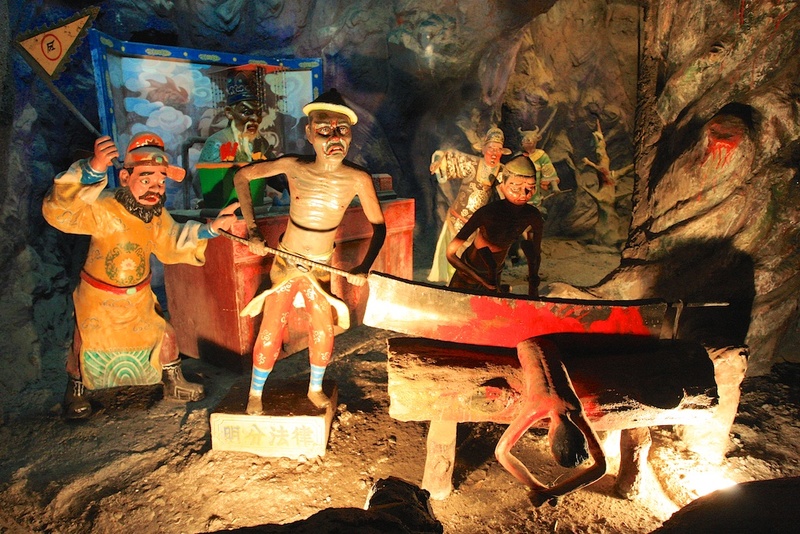 Over the decades, Boon Haw added more interesting and informative exhibits and sculptures to Haw Par Villa before his passing in 1954. The Government acquired back the land in 1985 and was renamed Dragon World in 1990 as a theme park. The theme park wasn’t successful and Haw Par Villa was returned back to the Government in 2001. As part of Singapore Tourism Board – Tourism 50, we are reminiscing Singapore’s heritage attraction, Reliving the Memories of Haw Par Villa. When I went back to Haw Par Villa on 16th March 2014 to Relive the Memories of Haw Par Villa, I realised there were so much history, heritage and culture inside Haw Par Villa that eluded Singaporeans and international visitors. 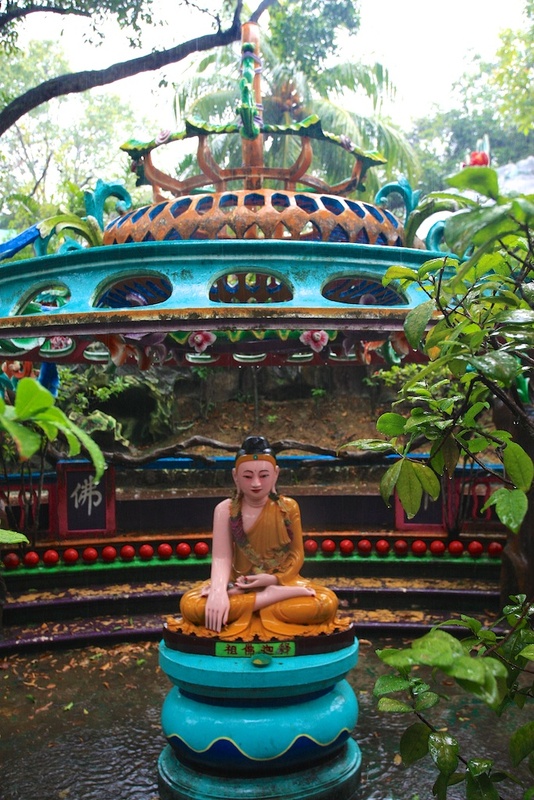 Haw Par Villa showcases beyond Confucianism, Buddhism and Taoism. It was full of history, story telling and folklore and sharing cultures from other countries. 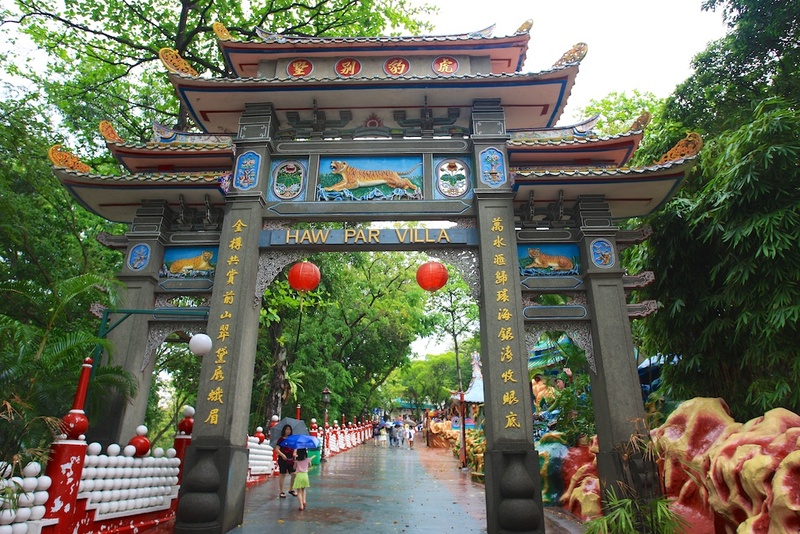 When you walked through the grand entrance of Haw Par Villa and walked uphill, you will be entering a realm of mystical wonders and discoveries. Have you heard of classic Chinese tales Journey to the West? How about Madam White Snake? Do you know what happens to you (for the traditional Chinese belief) when you die? What is life beyond death? Have you heard of the Ten Courts of Hell? Some of the teachings and sculptures can be pretty scary and frightening yet it’s a big eye-opener to learn more in-depth about our Chinese culture, Taoist, Buddhist and Confucianist principles. 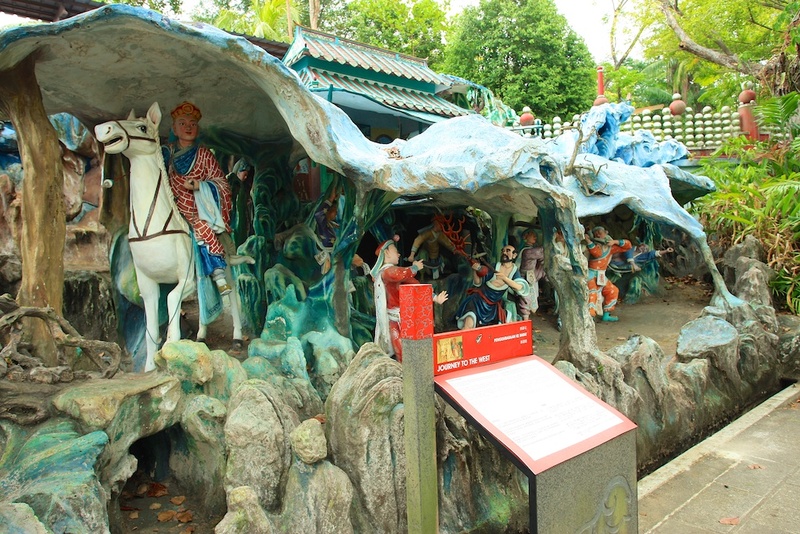 The writings and shadings can go and on here, lengthy in words at times, therefore, the most ideal way is to visit the Ten Courts of Hell at Haw Par Villa. Yes, you are “walking into and through Hell” at Haw Par Villa and the life lessons learned will be priceless. At the end of my “traveling, walking into and through the Ten Courts of Hell”, the final no. 10 Court of Hell was where “we were given a chance to reincarnate” and given another lifetime, another chance again. This was the time for some self-reflection and I “received” my enlightenment as I left the Ten Courts of Hell, awed and enlightened by the Aw family legacy and what they did for the public in the early days of Singapore’s history and development. Haw Par Villa, Singapore’s heritage attraction park, so rich and colourful in history, heritage and culture, imparting strong values, philosophy and teachings to all who visited Haw Par Villa. Looking back in time at Haw Par Villa, while she had changed and transformed a lot over the decades, her strengths, origins and values are still around today to pass on the knowledge, history, culture and values to the future generations of Singapore. I am very happy that I am able to Relive the Memories of Haw Par Villa, with my thoughts and photographs here. I will go back again to photograph more in details and close up of the sculptures and dioramas inside Haw Par Villa and continue to share the beauty, richness and values of Haw Par Villa! If you are keen to relive the Memories of Haw Par Villa, there are many exciting activities and organised tours on Saturday 22nd March 2014 and Sunday 23rd March 2014, check out Reliving Haw Par Villa for more details! The last time that I’ve been to Haw Par Villa was in 2008. I really enjoyed looking at the different displays and how evocative each diorama was. Prior to that I’ve visited it as a young kid, I even remember when you needed to pay to enter in the 90s. I really think that Haw Par Villa is a treasure in Singapore and hopefully more would be able to get to see this. I first visited as a child in the early 50s and then again in the late 50s. I remember not liking the blood and gore very much!